It’s the holiday season and there is so much to do! There are things to buy and decorate; people to see and places to go; and things to cook, bake and serve. Are you stressed from everything on your to-do list? Well here’s a news flash: your pet is too. As you know, there is always a natural uptick in activity during the holidays. As we enter the season, our mental and physical plates are full. Need some ideas on how to beat the stress? Here are the Top 5 Stress-Makers during the holiday as well as some ideas you can do to alleviate the holiday stress in your life, as well as your pet’s. Those of us honored to work with Parnell Living Science are actually a very organized bunch. But we all agree: during the holidays it’s impossible to keep everything in order. We are just like you and trying for a magical season. This takes valuable time away from what we really need to focus on which is quality time with loved ones. This includes your pet as well. Are you dashing from one project to the next without making time for your fur-baby? By taking time to step back and let some things go, you will enjoy more of what you are trying to create. There is nothing better than sitting with your dog or cat in your lap and relaxing to calm your own stresses and give them the attention they deserve. We agree: the holidays without all the beautiful decorations just wouldn’t be the same. You know your cat is going to climb the tree and your dog is going to eat the fake berries and you will probably get mad about it. But just like children, your pets don’t want to get into trouble. Plan on how to handle it so you aren’t taken by surprise when it happens. Get the video camera out when your cat starts to knock over your tree. You can also work with what you have, and try and make it where Christmas and cats celebrate together as one in a harmonic union. We have employees here who have done just that. One puts their Christmas tree in a room with a door on it so it can be closed and kept out of reach from her three cats. My manager ingeniously stuffed small boxes inside the base of the tree so her cat can’t get up in it to climb it (but her cat jumps, so it only works part of the time). 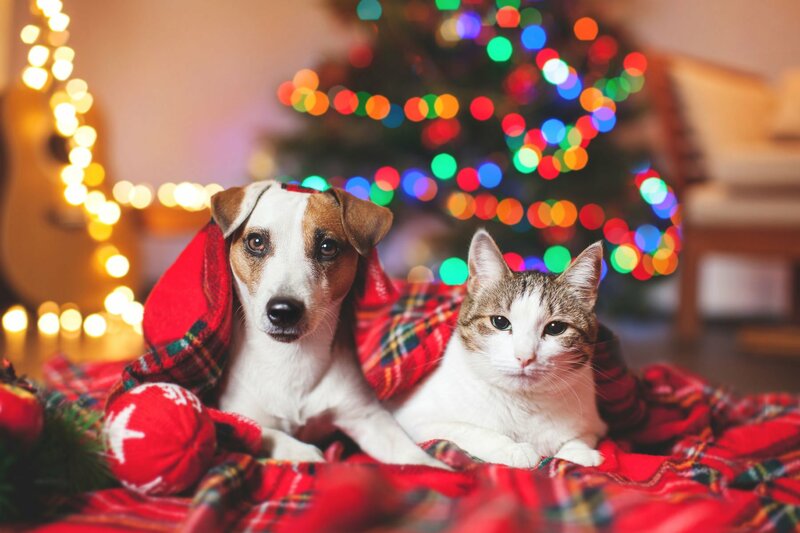 There are some serious no-no’s for your pet: be sure there is nothing they can eat to make them sick like tinsel on the tree. Avoid glass ornaments in the beginning. If you wait, the cat or dog may get tired of the tree as time goes on and not want to climb or attack it. Then closer to Christmas, you can add those glass ornaments. Surprisingly, Poinsettias are said to only be mildly toxic to pets. It is going to happen: there is more good food to eat during the holidays. Be sure not to fall into the habit of sharing too much with your beloved family dog or cat. Some say the average man and woman can gain as much as 5 pounds over the holidays. In dog terms, it is a bigger issue. According to the non-profit organization, Pet Obesity Prevention, one pound can increase the overweight percentage of a dog by 3-5%, which in turn harms your dog’s health. On the organization’s website, you can find weight translator charts. Stick with healthy snacks whenever you can for you both. Then you won't feel guilty when you indulge. The health benefits for you and your dog taking a walk during the stressful holiday season is tremendous. If your dog is at home all day, and you stay home all night, your dog can get cabin fever. 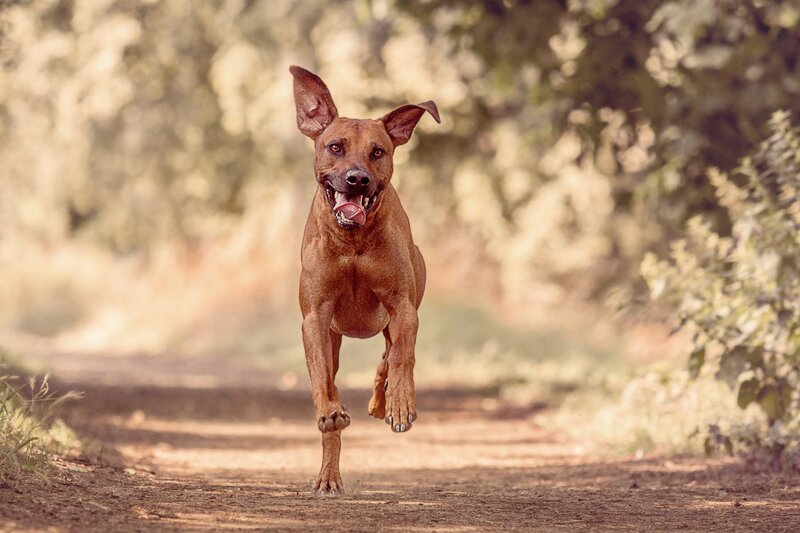 Most dogs need to be outdoors for exercise. As it gets colder, they stay inside more. If you notice your dog misbehaving and chewing up your holiday wrapping paper, it may be they are simply bored and need to get out for exercise. Indulge them, because as you get outside in the cold air, your body will release good serotonin and relieve seasonal stress. Your dog and cat feel similarly, and the truth be told, so do we. Talking on the phone, laughter, doorbells, holiday music, vacuums, pots and pans banging – this is all a lot of stress. Be sure to schedule peaceful moments in your day, every day. Nothing calms us more than time with our pets. The best peace of all is knowing our fur-babies love us no matter if we burn the cookies. Like you, we need these reminders to focus on what is important this holiday season. 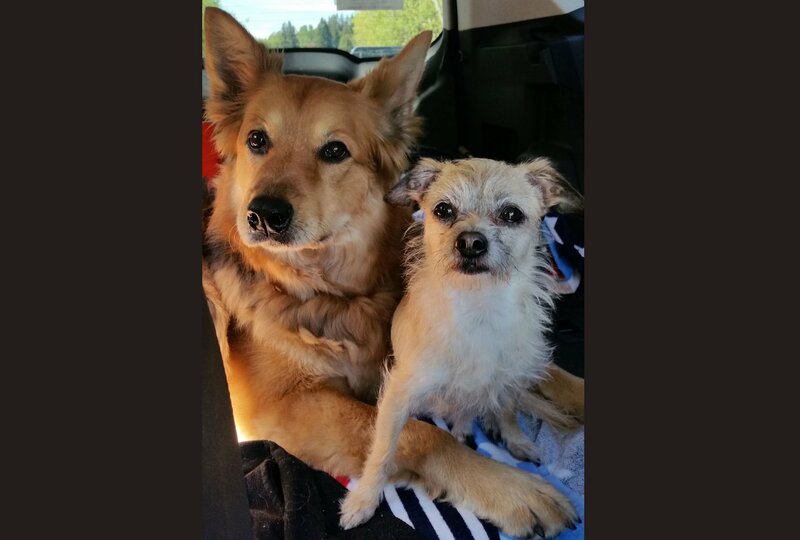 No matter what: enjoy the holiday season with those you love, which certainly includes those fur-babies!